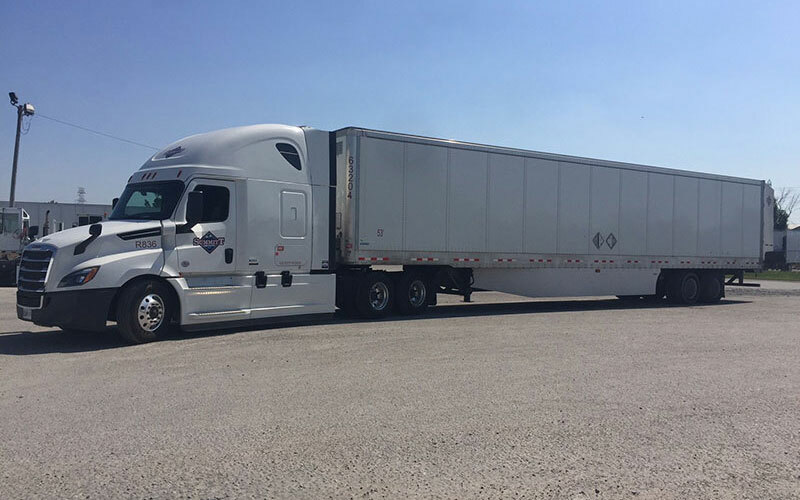 Summitt Trucking strongly believes in technology and strives to maintain real time cutting edge systems and software that are reliable day after day. It is our intent to provide software services that allow our customers, employees and vendors to interact with each other in real time and in a manner that exceeds the expectations of all parties. Real Time, Redundancy, Replication, EDI, Virtualization and 100% up time are but a few key words that best describes our commitment to technology. We want to be a leader in the world of technology. Our customers, Employees and Vendors demand that we be at the fore front of this ever changing environment. Summitt believes that we need to continue to evolve our technology as this is a forever changing world that we live in. Technology comes in many forms. Some forms of technology come in the form of optimization to help us improve our efficiencies. Other forms of technology come through adaptations to our equipment that help reduce aerodynamic drag or rolling resistance of tires. Automatic air inflation system to keep tires properly inflated. Summitt has strongly invested in all forms of technology that improves our business and will continue to do so in the future.